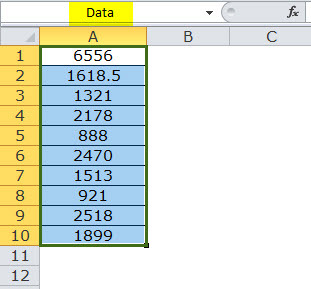 Dynamic Range in Excel | How to Create Dynamic Named Range? 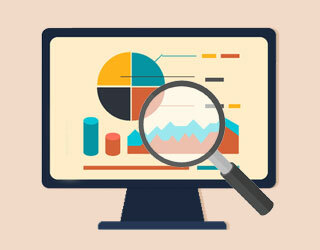 What is Excel Dynamic Named Range? What is Dynamic Named Range in Excel? 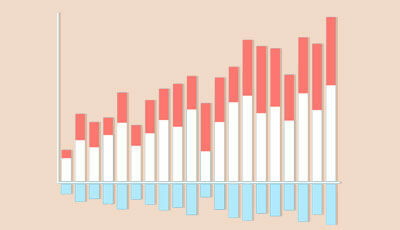 Dynamic range in excel is nothing but Named Range. 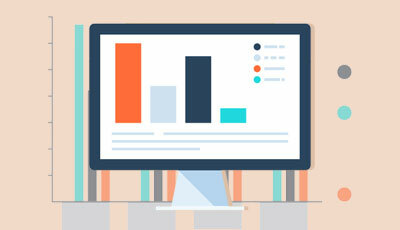 Excel Dynamic Named range is one of the powerful techniques in Excel. Before we see the meaning of Excel Dynamic Named Range look at the below image. 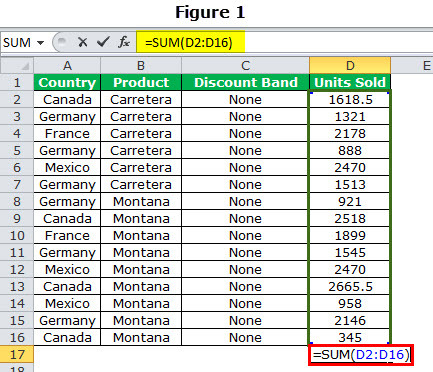 In Figure 1 Sum, the range is from D2:D16 and in Figure 2 range are not there but it is showing as Unit_Sold. The reason it is showing as Unit_Sold is that we Named this Range (D2:16) as Unit_Sold. As a new user, you may find it scary and weird, even the old users may avoid they do not see the advantage at any point in time. However, Excel Dynamic Named ranges are actually a cool feature. 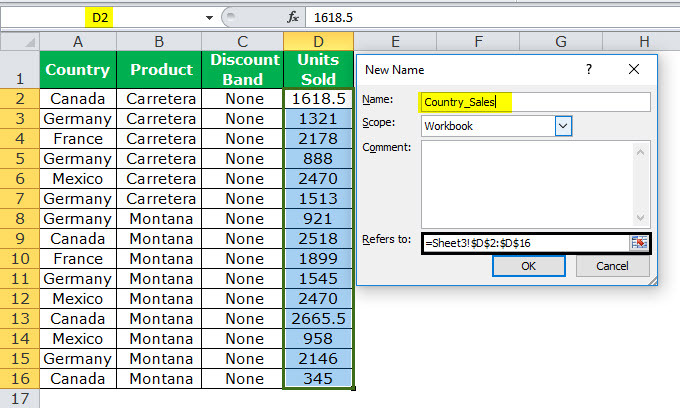 Excel Dynamic Named ranges make life easier especially when you are working in large sets of data. 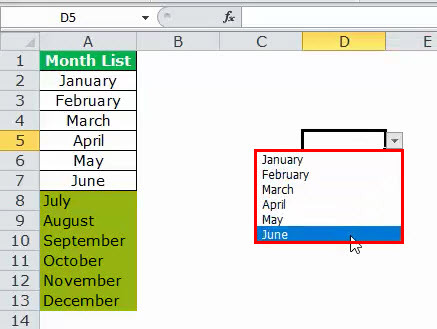 The reason why we need to start using Dynamic Named ranges in excel is we need not go back to find our targeted range of cells instead we can just type the name which we have given for that range. 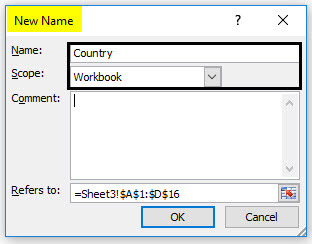 How to create Excel Dynamic Named Range? 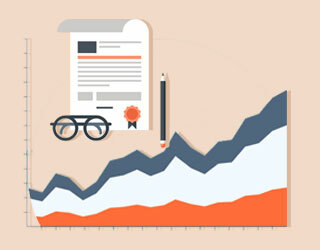 Excel Dynamic Named Ranges is the name given to a range of cells in excel which are readable by the user. 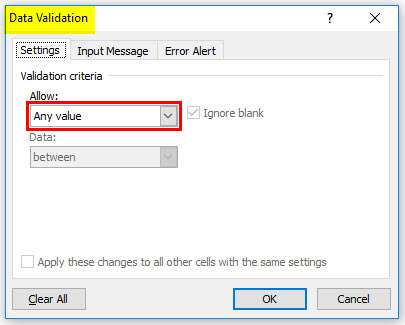 For example, if I name A1:A10 as Data I need not select the range of cells from A1:A10 when I am applying the formula, instead I can write only Data. 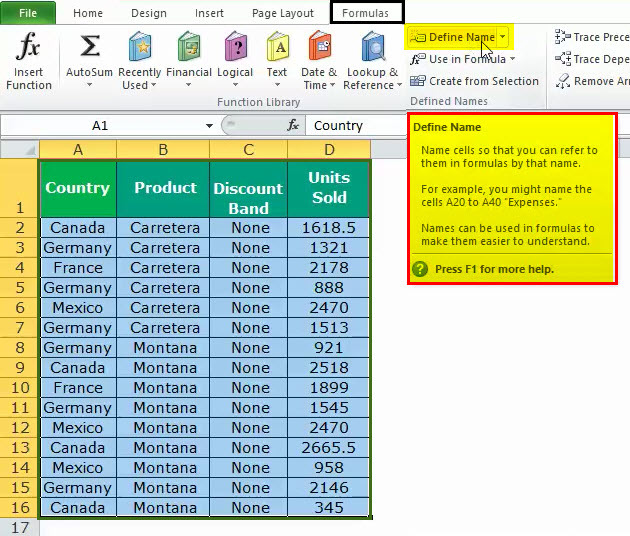 Let us learn how to create a dynamic named range in excel with the help of examples. Below image shows the same example. 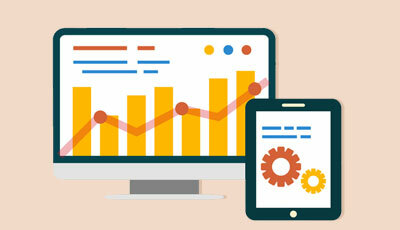 There are two ways to use Excel Dynamic Named ranges. 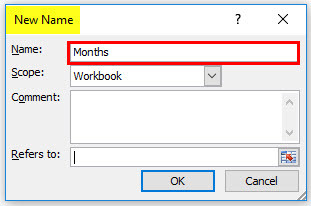 Typing a name on Name Box in excel. 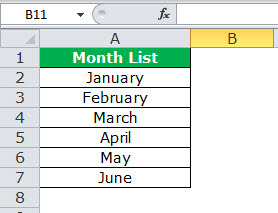 Define the name under Formula bar. 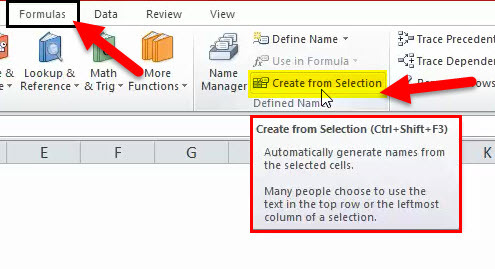 Typing names on Name Box in excel: Creating an Excel Dynamic Named range is easy in this type. We just need to type the name in Name Cell. Select the range you want to name and go to name box and give your desired name to the range. If you click on the drop-down list in the name box, you can see all the Excel Dynamic Named ranges. 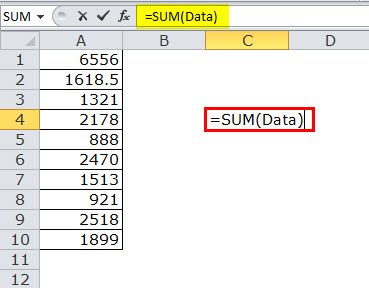 Define the name under Formula bar: This includes the bit of a process and you can create Dynamic Range excel here. To begin with, following below steps. Go to Formula bar and select Define Name. After you click on Define Name below box will open. 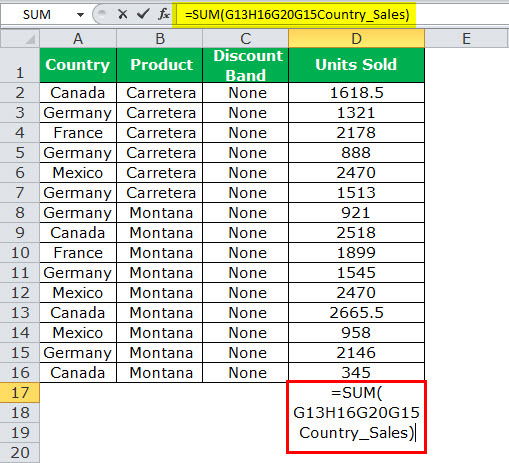 Click Ok. Now, you have defined the name for the range of cells from D2:D16 as Country_Sales. Apply Sum formula for Units Sold now. Instead of selecting the range from D2:D16 we have given the defined name. 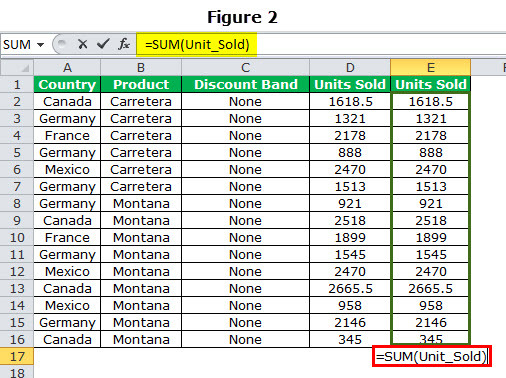 We can create Excel Dynamic Named range based on the heading of the column. 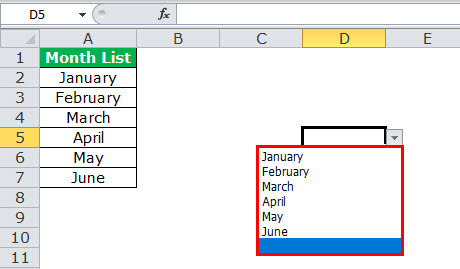 Excel now automatically creates named ranges for that column. In order to do that follow these steps. Go to formula bar and select Create from Selection. Select the entire data. As soon as you click on that option below box will open up. Select Top Row from the box. That means whatever the heading name of the column it will be treated as the named range for that column. Now, we can see all the named ranges under the name manager. Once you click on that, we will see all the defined names. In a simply named range, it will take only the pre-determined range. In the case of data expansion, it will not expand dynamically. Now, we will learn how we can create a dynamic range in excel. 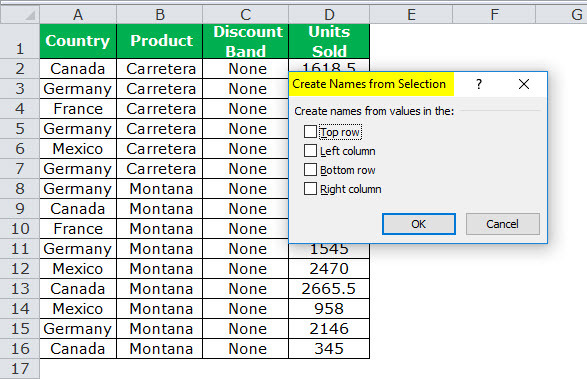 If you do not want to use a named table, you can use a dynamic formula to define an Excel Dynamic Named range. As new items are added, the range will automatically expand. Create a list of months from Jan to Jun. Go to Define Name tab. Click on that and give a name to it. 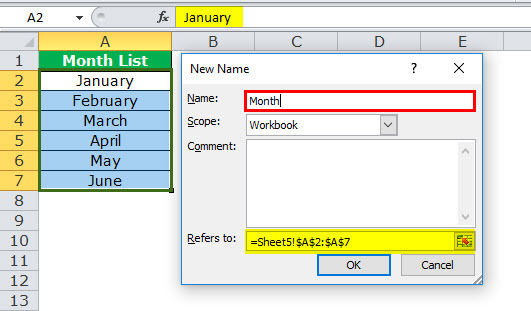 Create data validation for Month List. 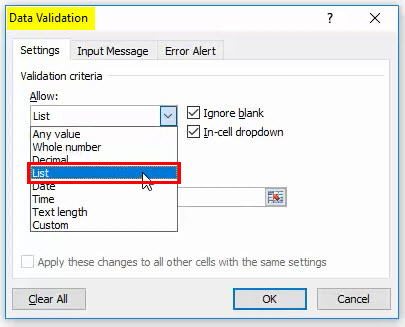 Click on the data validation and below box will open. Select LIST from the drop-down. 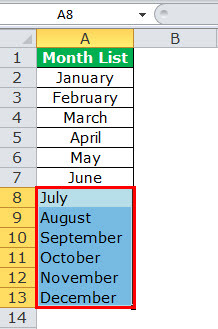 Select list and in Source give you the name you defined for the month list. Now, the drop-down list has created. Now add remaining 6 months to the list. Now, go back and check the drop-down list you have created in the previous step. It is still showing only the first 6 months is. Whatever you have added later it will not show. In order to create dynamic ranges follow below steps. Define new name under define name section. Give name to you list and select the range. 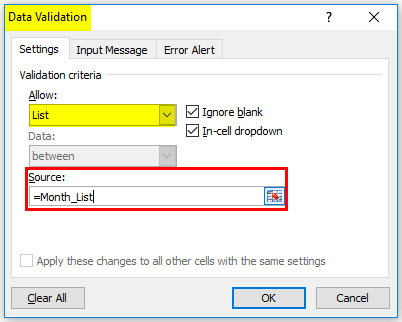 Now, under Refers to section apply the formula as shown in the below image. Now, go back and check the drop-down list you have created in the previous step. Now it will show all the 12 months in the drop-down list. You can anything in that column. Named Manager will dynamically update the dropdown list whenever the data expands. 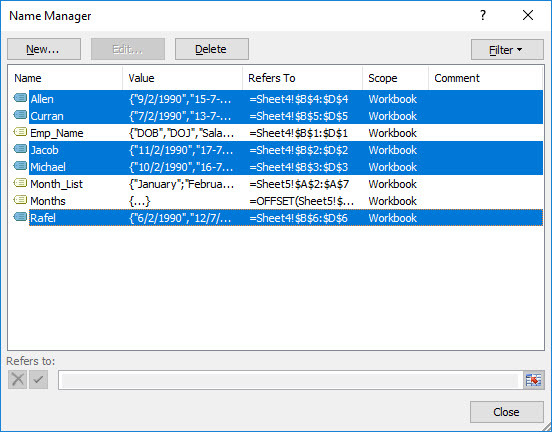 Now we knew how to define name manager for columns. We can define rows too. Follow the below steps. 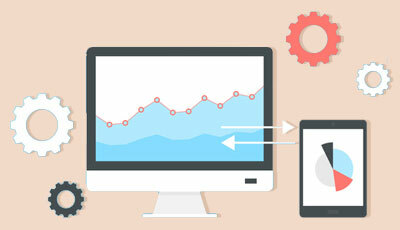 Create data as shown in the below picture. Uncheck everything except LEFT COLUMN. 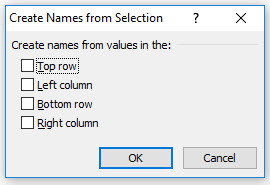 Now it has created the name manager for left column row data. You can check all the defined names from the drop-down list of Name Box. You need to keep in mind certain things while defining the names. Follow below rules from Microsoft, which are pre-determined. You cannot give any space in between two words. You cannot give cell reference as your name, for example, A50, B10, C55 etc.. 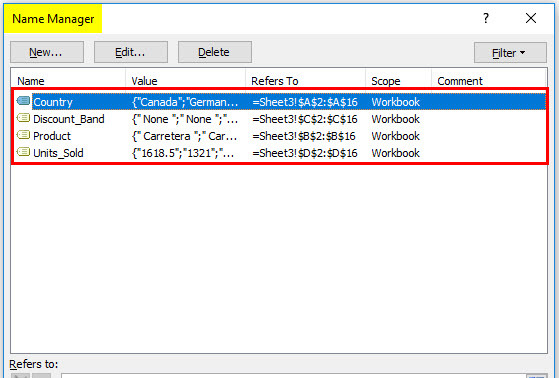 The letter like C, c, R, r cannot be used because excel uses then as selection shortcuts. Define Names is not case sensitive. MONTHS and months both are same. How to use Conditional Formatting? 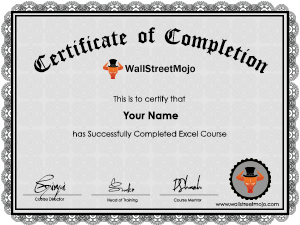 How to use INDEX Excel Function?